Town car service that delivers, safely and on time. Skip Seattle’s congestion mess and book Shuttle Express’s Town Car Service. Our professional chauffeurs arrive on time, handle your bags, and get you safely to your destination. No stress, no hassles, no problems. Choose us for trips to and from theairport, to and from meetings in the city, to concerts and sporting events, or for any special occasion. Whether you need to go across town or across the mountains, we’ll get you there. When you step into our cars, you know you’re safe and secure. Our chauffeurs are professionally trained, background checked, drug tested, and fully insured for your safety and protection. Our town cars and SUVs are well-maintained, legally licensed, and comply with all laws and regulations. Then, just sit back and relax in a comfortable, clean town car and enjoy the ride. 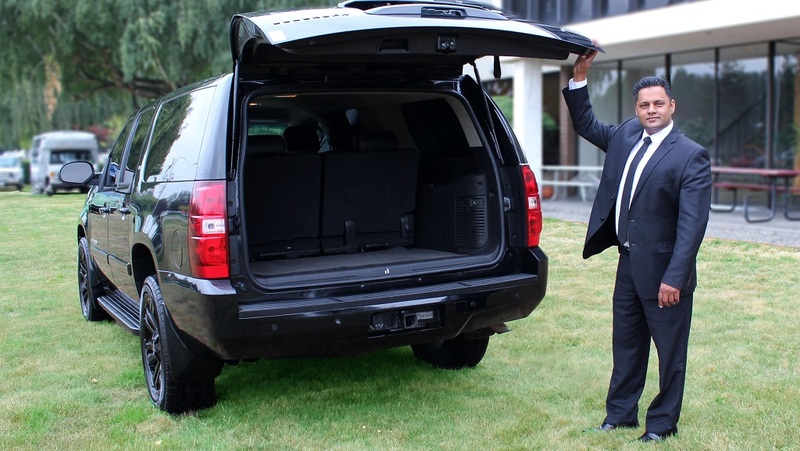 Shuttle Express private town car service offers affordable convenience that erases the stress of driving. Just leave the traffic and parking worries to us, and enjoy the trip! Our professional Seattle town car and limo service is an “app tap” away — we specialize in private service for individuals and businesses, day or night. Every client is a VIP with us. Need specialty service or have more questions? Email our travel planners at sales@shuttleexpress.net or call 425-981-7096 for a personal consultation. We’re here for you.